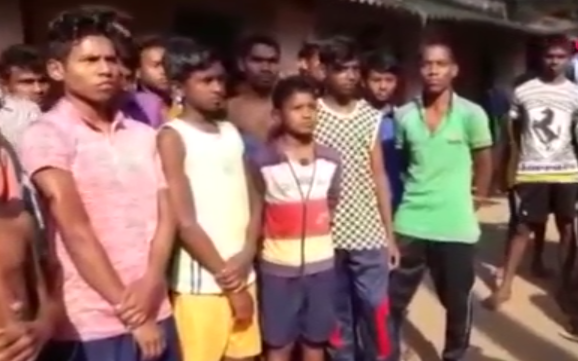 ONI Bureau: High tension prevailed once again in Kalinga Nagar of Jajpur district last night when a Central Industrial Security Force (CISF) Jawan of the Tata Steel plant barged into Gobara Ghati Tribal Residential High School & hostel with a stick and attacked, thrashed students and teachers. As per the report as many as 33 students were injured and rushed to Dangadi Community Health Centre by Kalinga Nagar Police who reached the spot later in the night. In this regard, irates locals and parents of the students hold protests before Kalinga Nagar Tata Steel plant and blocked the Chandikhol-Duburi NH-200.